Many people may not know Taiwan, but they have heard Giant or Merida if they are into the cycling events or tours. It is simply because of the quality/performace vesus price, both are good choices to make, but what is important is that both brands are made in Taiwan. Bring the biggest competitor in the same industry to each other, they have gradually seperate themselves into two different focus field. Giant supplies a lot of road bikes which aim for the top speed and light weigh in major competitions. Merida supplies more models of mountain bikes which are oftenly seen in rough conditions or outdoor activities. There is a new trend of Taiwan bicycle manufacturers to design beautiful and nice urban city bikes for simply strolling around or daily commute to school or work. 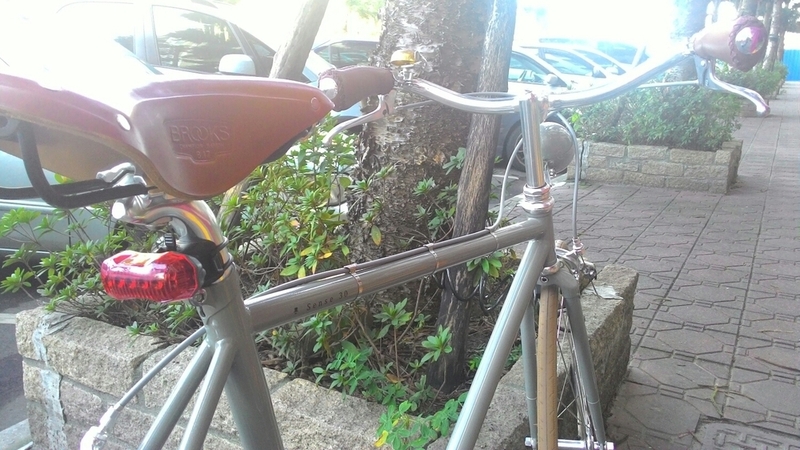 This may have been popular in Europe, but it is only recent years that Taiwanese adopt to this type of biking. Thanks to the well developed biking routes in the city, especially Taipei and New Taipei, stylish new bikes are available in many independent design shops. We reaally love it and that gives more choices other than Giant and Merida. Next time, if you travel to Taiwan, maybe it is interesting to arrange a tour only visiting bike shops and factories.